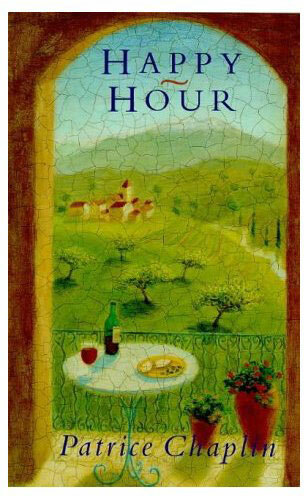 In 1998, British author and playwright Patrice Chaplin published Happy Hour, a book about her life in Céret, a town in the foothills of the French Pyrenees that is popular with artists. The cover featured the sacred mountain of Canigou, as viewed from her window, and hinted at her work to come. Amazingly, Happy Hour went unnoticed in esoteric circles, despite introducing a number of Rennes-le-Château bombshells. 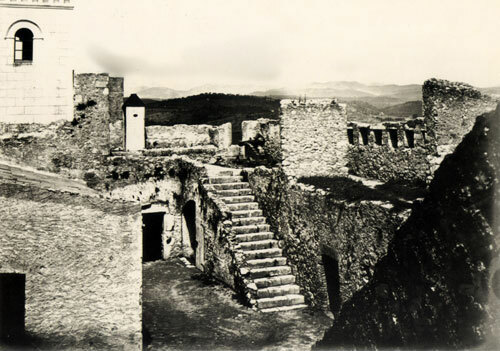 Namely, the book recounted how Bérenger Saunière’s project manager, Elie Bot, studied the design of the 1851 Torre Magdala in Girona (Spain) before constructing the Tour Magdela in Rennes-le-Château (France). In support of this theory, Chaplin has in her possession a series of sketches that predate the more detailed illustration in her new book, City of Secrets. (Note 1). 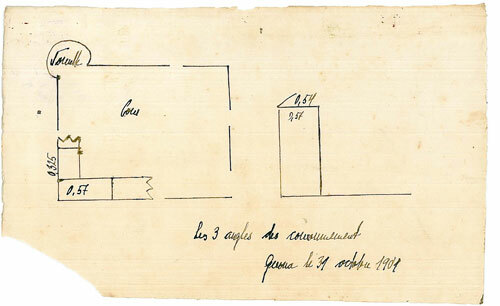 The drawings depict a rudimentary design of a tower, the earliest version of which is marked Girona, 1901; the same year that construction commenced on the Tour Magdela in Rennes-le-Château. Even more alluring than a possible connection between the towers in Rennes-le-Château and Girona is Happy Hour’s offhand suggestion that Josep Tarres I Fontan (Jose, in the City of Secrets) – an alleged custodian of a Girona based society that maintains and practices Grail rituals, may in fact be the grandson of Saunière and a mysterious French woman by the name of Maria Tourdes. Those familiar with City of Secrets will recall that Tourdes is from Quillan; a town near Rennes-le-Château where Saunière owned property. 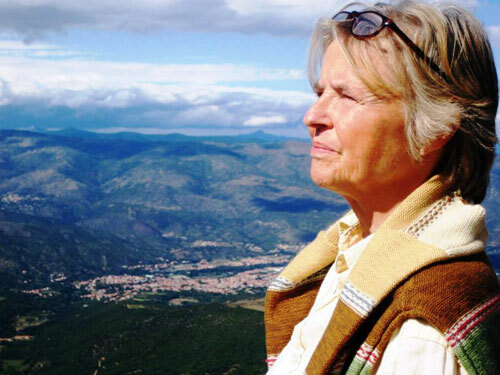 She moved to Girona in her teens – on her own – and lived behind the cathedral in a house constructed over a cemetery reserved for priests. Chaplin, too, was in her teens when she first came to Girona – more in search of the New Bohemia than the New Jerusalem, although that has since reversed. Here, at the age of 15, Chaplin first met Tourdes, who by then was a woman of mature age. 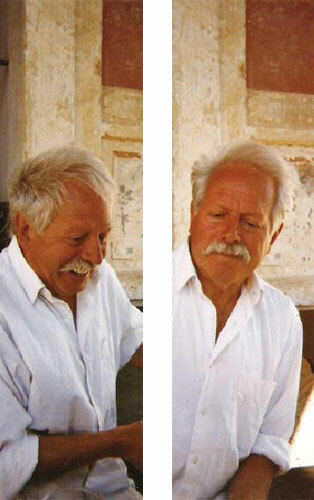 Letters uncovered by Chaplin during her 30+ years of research, and which have been certified by experts, suggest a relationship between Tourdes and Saunière. They also reveal that Tourdes was an important figure in a private society that conducted Grail rituals in her house behind the cathedral. 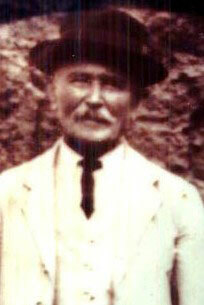 Tourdes was also known by Tarres – Chaplin’s former lover and a figure believed to be the one-time custodian of the society. In the context of Chaplin’s research, this makes perfect sense; Tourdes was Tarres’s grandmother. Enthusiasts of Rennes-le-Château are aware that Saunière – a priest – is believed to have had sexual relations with women and to have fathered children. And while this is not the first time that an alleged offspring of Saunière’s has surfaced, it is the fist time that we are provided with any semblance of detail. So while Happy Hour flew under the esoteric community’s radar, City of Secrets has created quite a mêlée, dividing researchers into camps of sceptics and believers. Chaplin’s view of the book is mixed, too; part pride and part frustration. This stems from the fact that City of Secrets was massively edited. Its beginning and ending were replaced and its more abstruse content homogenised, leaving the significance of many strands, such as the Guerin – Boutron chocolate advertisements, virtually incomprehensible. The real test however, is how the book would be received in Girona, where its story and characters originate – and play out to this day. So when Chaplin asked if I would be interested in accompanying her team to Girona for the Spanish launch of City of Secrets, I could hardly say no. Hell – I jumped at the chance. Much had transpired since I first met Chaplin at an interview in London’s affluent Primrose Hill. I’d toured Girona extensively and validated her claims in the archives and bars of Girona’s old town. I’d even travelled to Greece and explored her account of a Catalan connection with Rennes-le-Château and Arcadia. Along the way we became good friends. We laughed at the accounts on the internet that discredited my research into her work. There are so few facts in the Rennes-le-Château genre that some have lost the patience to siphon through yet more sensational claims. I understood this – even agreed, but my sense of Patrice and my initial findings in Girona told me to keep looking. That said, I had certain, preconceived expectations about what the trip would reveal – or not – and much to my surprise, I would be wrong. Chaplin was joined in Girona by her long time friend and colleague, Tove Frisvold. 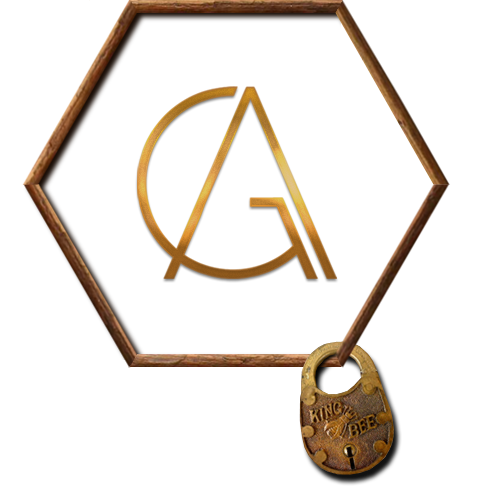 The two have collaborated on research for City of Secrets for nearly 20 years. Frisvold was present when Tarres first revealed the details of the private society and its Grail rituals, after the two happened upon him by chance in Girona’s old town. Frisvold has independently interviewed many of Chaplin’s sources and has been a catalyst in nurturing Chaplin’s often turbulent relationship with Tarres. Her presence in the story increased my confidence in the whole affair. 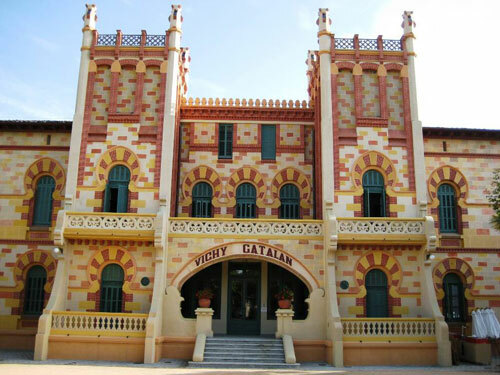 Chaplin and Frisvold were staying south of the Girona in the ancient spa town of Caldes, where they prefer to conduct their research when possible – away from Girona’s all-seeing eyes. 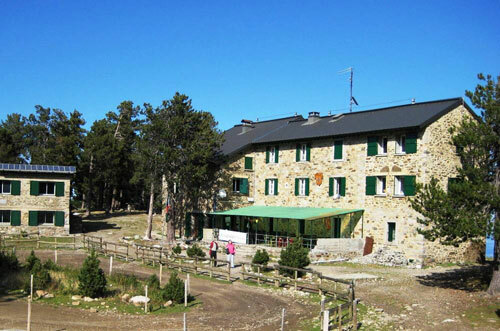 Coincidently, Caldes was a favourite spa destination of Maria Tourdes. 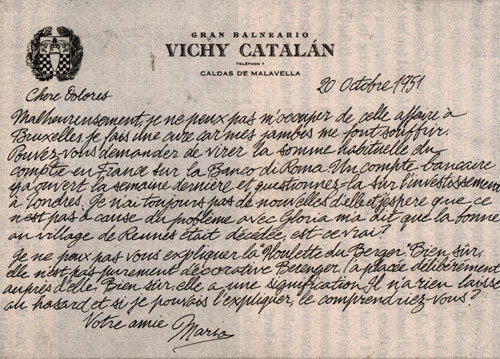 In City of Secrets Chaplin reproduced letters received by Tourdes while staying at the Vichy Catalan spa and resort. The place is grand – even by today’s standards – and its twin towers dominate the village skyline. Chaplin was scheduled in two days time to present to an audience of friends and acquaintances she has known for decades, many of whom are featured prominently in her book. Her anxiety is palatable, yet understandable, for her former lover – Tarres, is featured more than any other – and was rumored to be in attendance at the event. As a result, Chaplin was keen to provide Tarres with an advance copy of her book, recalling all too well what happened the last time she was published in Catalonia. 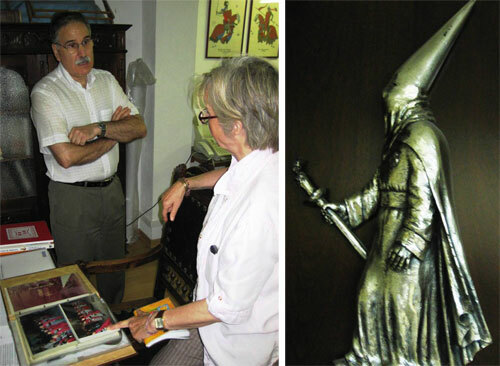 Nearly 20 years ago, Chaplin’s autobiographical book, Albany Park was released in Girona, creating such a fury that Tarres – who was married to the artist, Pia Crozet, was marched into the cathedral and instructed to kiss the feat of Jesus as penitence. Although Chaplin had hoped to brief Tarres prior to her book launch, securing a meeting was proving to be difficult. However Tarres was around, and had in fact just met with Juan Carlos, King of Spain (and by title – King of Jerusalem), who visited Girona a few days earlier and presented Tarres with an award for his work on the annual Girona Flower Show. 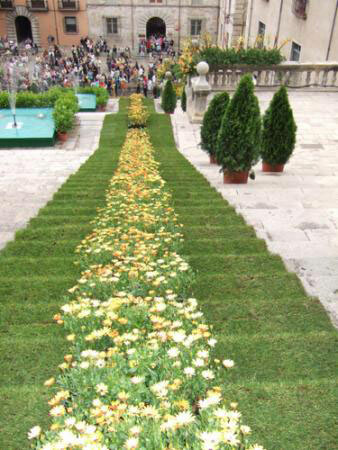 The clandestine meeting struck most as curious – not to infer that Tarres’ impressive work on the annual Flower Show is not culturally important, but an audience with the King of Spain seemed incongruous with the circumstance. While speculation on Tarres’ meeting with the king heightened, so did the protests. 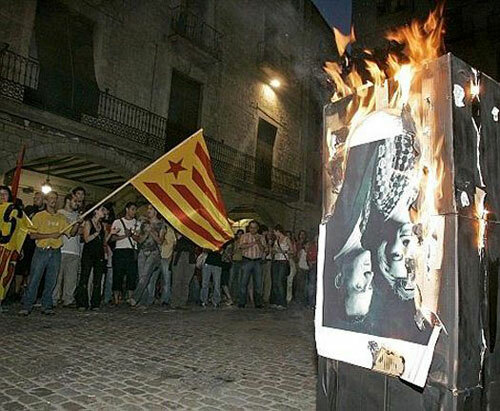 A Spanish King in Catalonia is not exactly a popular concept at the best of times, and to make matters worse, a few days earlier – on the 13th of September – a youth by the name of Jaume Roura had been arrested for publicly burning a photograph of the king and the queen. His arrest was met with further protests, and not surprisingly, the burning of dozens more photos of Carlos and his wife, Sophia, the Princess of Greece and Denmark. The fact that protesters also vented against Carlos’ wife, Sophia was a cause of great concern to Girona authorities. The queen is a fascinating figure in her own right and has her own following. The Princess spent her childhood in Egypt and enjoys the privileged status of Catholic Monarch, or Privilège du blanc, meaning she is permitted to wear white, not the customary black, in the presence of the Pope. 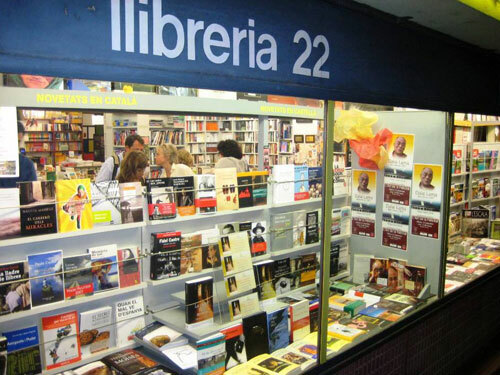 With the press conference complete, Chaplin prepared for her next media event – the book launch at Llibreria 22, a popular Girona book store located in a district where Tourdes once lived for a spell in a hotel. While Chaplin prepared for the launch, Frisvold and I strolled though the old town and stumbled on an artist who displayed miniature La Sang figurines in full regalia in his shop window. The man was a member of La Sang; the Spanish death cult that performs rituals on the deceased in order to free their soul to the next phase in the afterlife, although their public image is far more civic than esoteric. The man was kind enough to show us around his workshop and let us examine volumes of old La Sang photo albums. We spoke of many things and he confirmed the relationship between La Sang in Girona and La Sanch in Perpignan (France) – an important link to establishing a connection between Rennes-le-Château and Girona according to some researchers. (Note 2). I contemplated what would prompt one man to refer to another as a ‘man of extreme sensitivity’, as we returned to the café where Chaplin was selecting excerpts from her book for use in the recital at the launch. That afternoon we visited Lluis (known in Chaplin’s book Siesta, as The Wolf), owner of the Arc Bar – an establishment of long standing tradition in Girona, located at the bottom of the cathedral steps. Inside the bar I’m bemused by two La Sang figurines on a shelf next to a lamp. ‘How had I not seen them before?’ The visit afforded Chaplin the opportunity to chat with the Wolf about old times and to confirm his attendance at the launch. The following day, newspapers and television were filled with coverage of City of Secrets. 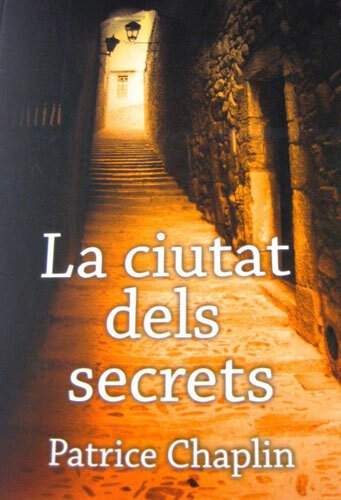 One newspaper, El Punt, ran an article that revealed the name of the City of Secret character, Lucia Stillman, an heiress of considerable importance to the story. Stillman died on Mt. Canigu while returning the society’s Grail artefacts to the portal on the summit. Later, Tarres was sent to retrieve her body from the mountain. Rennes-le-Château researchers believe that Stillman’s role was more important than Chaplin indicates, and my previous encounter with The Wolf would have me believe that she may still be alive and living in Barcelona. Another key figure in Chaplin’s book is Ingrid, the German Cabbala expert who once lived in the States. Chaplin is eager to see her and has arranged a lunch. I had not planned on meeting Ingrid – or she me, but am thrilled at the prospect. We meet at an outdoor restaurant on the coast and I’m at once impressed by her breadth and depth of knowledge – and intensity. In fact, I cannot recall another quit like her. She wastes little time and with hardly a ‘hello’, delves into what I can only describe as an esoteric master class. She speaks with authority on a vast range of subjects and exhibits a refreshing enthusiasm for her domain. I am reminded of Dan Brown’s Da Vinci Code character – The Teacher. The woman’s brilliant, and a master teacher, indeed. Ingrid was understandably guarded at first, but slowly attuned to the stranger in the group – me. After lunch we went for a walk near the sea before heading back to her home in the hills for more discussion. Here Ingrid served water that had been chilled for a day in a pitcher with a rare crystal. Before long she produced an analysis of our Cabbala numbers. Ingrid’s insight is extremely detailed and highly esoteric, drawing on volumes of work from decades of research. Chaplin and Frisvold’s Cabbala readings are fascinating. Mine involves the degree of the sun’s arc in a day, season and year, prompting Ingrid to emphasis Arc-a-day, and to inform me that I am associated with Arcadia. As Ingrid has never been on the internet, I’m intrigued, and leave impressed with all aspects of her performance. She’s an amazing lady. No sooner then we arrive back in Girona, do we stumble upon Tarres – completely by chance. ‘This sort of thing has been happening for years,’ Frisvold adds. The three of us can’t believe our luck. The meeting is serendipitous, no doubt, for it affords Chaplin the opportunity to brief Tarres in advance of the launch. I observe the encounter with great interest, but am careful not to intrude. We shake hands and exchange niceties. Tarres seemed amiable and genuinely excited to see the book. He struck me as sincere and passionate; a gentleman – yet someone who knows things. He has that quality about him. ‘Extreme sensitivity’ – that made more sense to me now. Regretfully, our encounter with Tarres was brief. He said he hoped to attend the launch and we wished him well and on his way. As it turned out, Tarres was unable to attend, and not surprisingly so. While his participation was sadly missed, the evening was fascinating nevertheless. Chaplin’s good friend, the actress Clara Mascaro, kicks things off by reading excerpts from City of Secrets in Catalan. Mascaro also starred in Chaplin’s play about the Italian painter Amedo Modigliana, and is an accomplished performer. As Mascaro finishes her readings, Chaplin, who is flanked by her Spanish publisher and Catalan translator, prepares to address questions from the audience. And that’s when things got interesting. Before questions can be solicited from the audience, Chaplin is pre-empted by a influential local business woman who asserts her opinions without so much as a preamble. 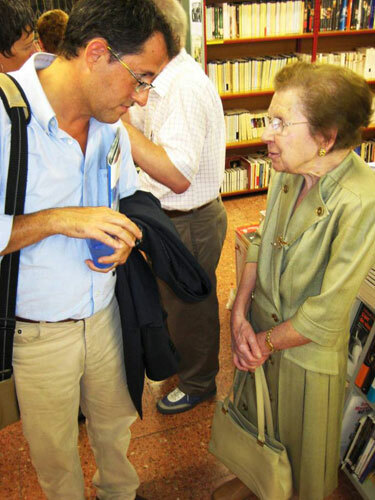 The woman, now in her 90’s, is featured in City of Secrets and was one of Chaplin’s many sources, supplying information, letters and photos to the project. The local business woman proceeded to launch into a tirade of apparent misinformation, suggesting dates for the construction of the Torre Magdala and the French woman’s house – none of which were correct. She continued, aggressively asserting that Saunière had nothing to do with Girona and that there was no society. A well known Spanish politician sat in the same row – 3 seats away – and watched and listened with great interest. He appeared to be the only one not surprised by her comments and even looked on, approvingly. Later, after the question and answer segment had finished, I took the opportunity to engage the controversial old woman in conversation. With the help of Chaplin’s translator, the three of us spoke for several minutes before being interrupted by the politician, who made a considerable effort to have a private word with her before departing. The following day was my last day in Girona and we were off on the only quest I could think of that could equal the intrigue of meeting Tarres, Ingrid the Cabbalist, and witnessing an apparent society set-up at the book launch; a trip to Mt. Canigu. We arrived at the base of the mountain after a late start, keen to ascend as far as possible with the daylight remaining. The trail up the mountainside is hazardous, so we rented a jeep. Our driver was quite knowledgeable and stopped on a number of occasions to show us points of interest, including Mt. Bugarach, and Rennes-le-Château, off in the distance. Chaplin points towards Rennes-le-Château. Frisvold talks to our driver. As we gazed towards Rennes-le-Château, I recalled what the Ingrid had said, and what Chaplin had written in her book. 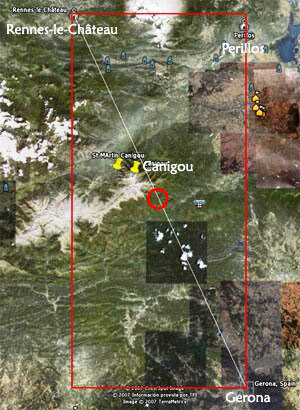 The summit of Canigou represents the precise centre between Girona and Rennes-le-Château (Note 3). The two points represent Isis and Nephtis – the north and south – and the south is always hidden. 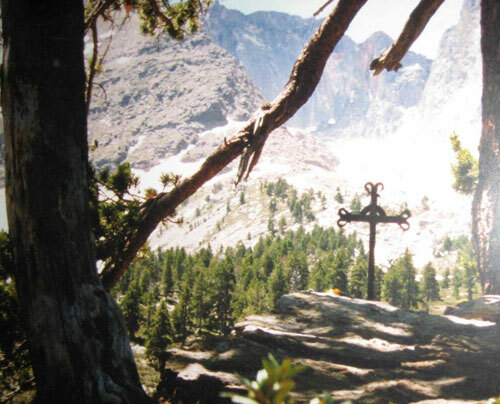 Canigou, I am told, is the sacred portal that is invoked for Grail rituals – equal distance between the two. After a rather arduous 90 minute journey up the mountain we neared the spot where Tarres escorted Chaplin all those years ago. This is where he deposited artefacts used in the society’s Grail rituals. It’s also the spot where ‘Stillman’ died while returning the Grail artefacts to the portal – like Tarres had done before her – according to Chaplin. Our jeep picked up pace as the gravel trail turned to asphalt and we winded toward the base of the summit. ‘So what exactly is a portal, Patrice?’ The scepticism in my voice was intentional. I had hoped to illicit a reaction. ‘So have you been through one?’ I asked defensively. And with that our jeep came to a stop. We had arrived. It was time to stretch our legs. 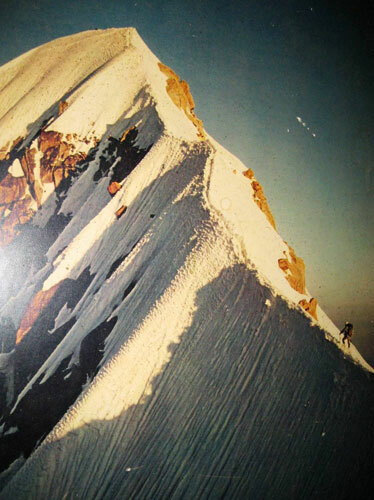 The view from the base of the summit was sensational – as was the feel of the place. The air was crisp and we could see all the way to Perillos. But time was not our friend and we would not be able to complete the 90 minute hike to the top of the summit. This was frustrating, as I was determined to locate the portal and discover for myself what all the fuss was about. 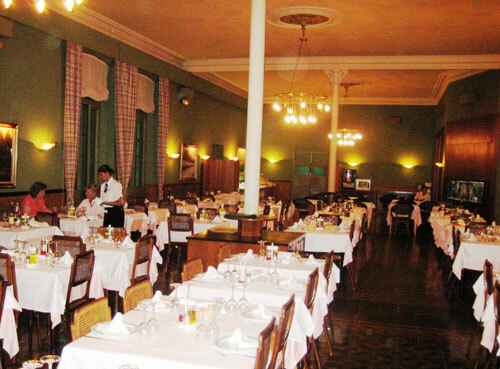 Perturbed, I studied the old photographs and drawings in the lodge and imagined what it would be like to venture the final leg of the journey. The temperature had dropped considerably and we ordered hot chocolate and spoke to the staff in the lodge about their experiences living on the mountain. 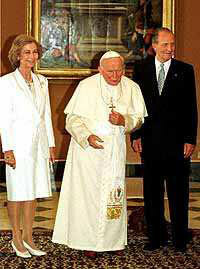 They spoke of the holiness of the summit – how it was a sacred place. Looking at the pictures I took consolation in not being able to ascend further; the final leg of the journey looked tricky, and the summit itself appeared quite small. Chaplin remembers being left on the summit by Tarres, who returned from the portal approximately an hour or so later. We descended the mountain, drawing to a close yet another Girona odyssey. It had been an amazing week. 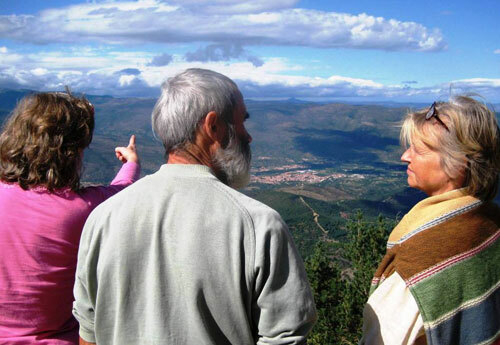 I’d met some incredible people, including Josep Tarres – the alleged grandson of Bérenger Saunière and a Cabbalist named Ingrid who appeared to be the fountain of all knowledge. I needed time to think, but not now. I was shattered. And anyway, at the moment I was more concerned if Chaplin would someday show me a portal, and if so, would I experience the Grail? I would like to thank Patrice Chaplin and Tove Frisvold for their trust in sharing the people, places and research that led to City of Secrets. Note 1: Much concern has been raised regarding a rudimentary drawing of a tower that appears on page 294 of City of Secrets and page 125 of a book by Antoine Captier and Claire Corbu’s called L’Heritage de l’Abbe Sauniere. 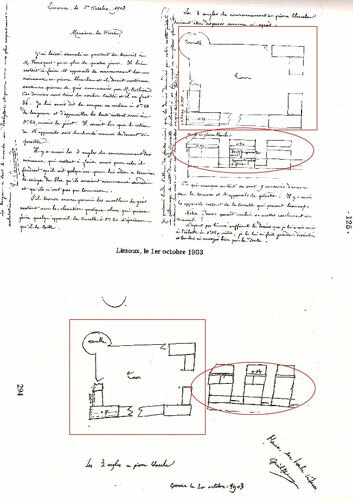 While both drawings have the same date: October 1st, 1903, and are otherwise identical, one is labeled Girona and the other Limoux, creating speculation that the version in Chaplin’s book was copied and altered from the Captier and Corbu book. The version of the drawing in Chaplin’s book also includes the words ‘Maria, in haste, Guillem’ – Guillem being a figure from Chaplin’s letters to and from Maria Tourdes. I personally have seen 3 different versions of the drawings / sketches of the towers – and I am told there several more in existence. In the day before ‘copy machines’, reproducing documents by hand was a common practice. The version displayed in this article is the oldest, and coincides with the year – 1901 – that construction commenced on the Tour Magdala in Rennes-le-Château. The document has also been certified by authorities in Oxford. Others believe the drawings were made by Tiburce Caminade, Sauniere’s building architect. Note 2: The genre’s foremost expert on La Sang (Spanish) and La Sanch (French) is Isaac Ben Jacob, a ‘research collective’ whose investigation into the La Sang death cult is proving to be a key element that links Girona and Rennes-le-Château with Perpignan. The Perpignan based society is famous for its Easter processions, elaborate dress, and mysterious rituals on the dead; rituals performed for a fee, designed to ensure that a person’s soul goes to heaven regardless of the quality of life they led. Ben Jacob’s analysis of Bérenger Saunière’s letters and regalia indicate that the priest may have been part of the society. Curiously, the church in Durban, near Perillos / Perpignan, contains La Sanch symbolism. This is the church where Saunière’s mentors, Abbés Gelis and Boudet, received their first assignment as priests. Further, I have personally identified the ‘bag’ or ‘sachet’ on Saunière’s West Wall Fresco in his church in Rennes-le-Château as a La Sanch symbol, establishing physical evidence of the possibility that Saunière was involved in the sect. La Sanch / La Sang research is in it infancy but appears to be a new and vital source of information to the mystery. Note 3: Actually, the northern counterpart of Girona is not Rennes-le-Château, according to the Cabbalist, but Quillian – the town near Rennes-le-Château where Maria Tourdes is from and where Saunière is said to have owned property.